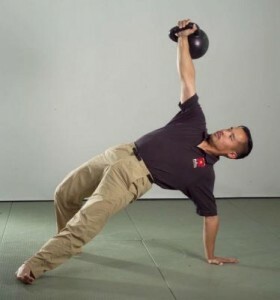 We love kettlebells here at Okanagan Peak Performance Inc. because they are so versatile. 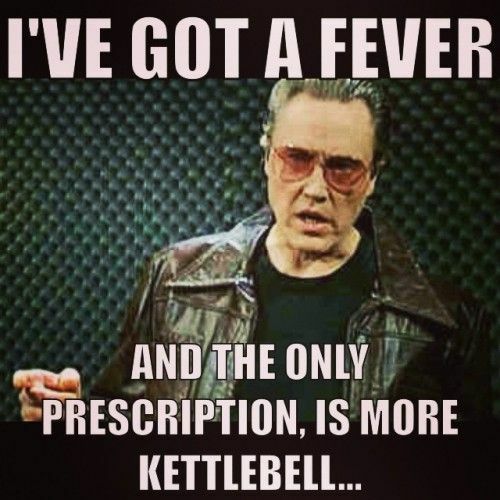 No matter what ails you kettlebells can help. Got too much body fat? Kettlebells can help melt it away. Got a bumb knee or shoulder that hurts? Kettlebells can help them move and feel better. Can’t jump high enough or hit a golf ball far enough? Kettlebells can add explosive power. This post is going to quickly go over how kettlebells can help solve these problems but if you are interested in more details shoot us an e-mail and stay tuned for our upcoming clinic. When someone comes in to see us about looking better that means that they want to change their body composition by either decreasing their fat mass or increasing the their lean mass. In most cases it’s a little of both. Typically we use energy system training to melt fat and free weights to improve muscles. The beauty of kettlebells is that we can blend these two together which really provides the biggest bang for your buck!! With kettlebells you’re basically your doing cardio with weights. The design of the kettlebell allows for this blending due to a through a wide range of movements that can be done with just one kettlebell. This allows you to do longer sets of exercises with little to no rest between movements giving the best of both worlds. Which exercises with how much weight will really depend on your ability to move so don’t just go Google search “fat melting kettlebell workout” and try to copy it without any guidance or coaching. Kettlebells do require a certain level of skill in order to reap thier rewards while minimizing the risks. This skill however is easy to attain with some good coaching. Don’t have any kettlebell experience? Have I mentioned our up coming kettlebell course? The design of the kettlebell makes it a great tool to help you feel and move better too. When people are hurt and want to feel better it is usually one of too things. Again, it’s usually a combination of the two again. Here is why the kettlebell is a great tool to help people solve these two problems. The way that all of the weight is on one side of the kettlebell makes it asymmetrical compared to how a dumbbell or barbell is symmetrical. This off-set nature of the weight to one side forces your body to stabilize the load of the kettlebell which in turn puts your bones and joints into better positions which can help reduce pain. This coupled with some of the traditional kettlebell moves like the windmill, arm bar and get up (just to name a few) allow you to stretch and move (mobility) your body into positions that require lots of flexibility but with the added benefit of control. Think of it a yoga with weights like we see in the picture below. Any athlete can benefit from using kettlebells. In addition to the benefits that I just described with the looking and feeling better camps they can help make you faster and stronger. This study showed proves this just in case you don’t believe me. So if you can think of a sport where you would benefit from being faster and stronger then you should think about adding in some kettlebell work. On second thought try to think of a sport were it wouldn’t benefit you to be faster and stronger. Just because poker and darts can be seen on the sports channel doesn’t make them sports. Here are a couple of popular sports that a lot of our clients like and how we use Kettlebell’s to help. So hopefully I’ve made it clear that we like LOVE kettlebells because of their ability to help anybody no matter their fever. We know that you will too will learn to love this magnificent piece of equipment and we hope to help you out at our upcoming kettlebell clinic.